Working with corporations and medium-sized companies helped us learn how to quickly detect the most optimal solutions for specific challenges. We use solutions created by our team of seasoned professionals using the latest ICT technology to fit unique business requirements. We deliver professionals ICT Education and Certification. 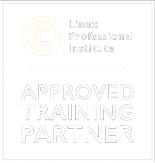 CPU delivers professional ICT certificates. We provide our classrooms and highly educated staff who use their own experience and skills while teaching to transfer a real-world application of the latest ICT technology. Over the years we’ve acquired almost every significant certificate for education, including Pearson VUE Testing Center and Microsoft Gold Certified Partner for Education, Network Infrastructure and Security Solutions. Our team of seasoned professionals will build, integrate and deploy custom-made solutions for your business. After implementation, we will train employees in our facilities, which we highly recommend due to the difficulties that naturally occur when people work with new and custom-made solutions. It will allow them to have an insight into solutions and how to get the best out of them, without the added stress of learning on their own. We can provide a wide range of education, implementation, and developing services, as well as system maintenance. Our most valuable asset is a team of trained professionals who are experts in their respective fields. With proven knowledge and efficiency in realizing critical business solutions, we are the leading company in Serbia offering the full spectrum of ICT services. Our strategic plans are to expand activities in the regional and global market, after several years of focusing on domestic market and a large number of successfully managed ICT projects for medium and large companies. Primary target market consists of medium and large companies (Enterprise), while primary vertical market segment includes state institutions, financial services (banking), healthcare, and telecommunications.